DUE TO THE HIGH VOLUME OF WONDERFUL APPLICATIONS FOR SUNSHINE APPLICATIONS ARE NO LONGER BEING ACCEPTED FOR HER. PLEASE BE PATIENT WHILE HER FOSTER MOM SORTS THROUGH THEM. PLEASE CONSIDER ONE OF OUR OTHER CURRENT ADOPTABLES. 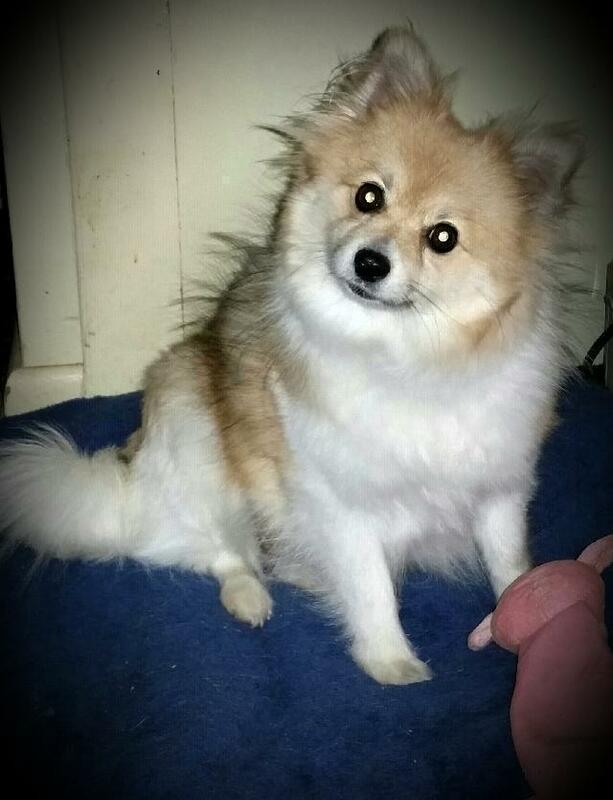 Sunshine is a sweet, playful pomeranian, that lives up to her name! Her DOB is 9/2/16. Sunshine was an owner surrender and came to us pregnant. She had 2 beautiful baby boys and was the best mom! Now it's her time to be a puppy and find a family that will love and spoil her! She is good with other dogs, seems to like kids and just loves her people. She's good in a crate and has been doing really well with her house training. She's a happy girl, loves to play with toys, dogs and anyone who wants to play with her. She would be a wonderful addition to her perfect family! !